Sinclair Clark was established in February 2010, by Vanessa Clark, to provide services for a core list of long-standing clients. Services include: a range of office disposals and acquisitions, lease renewals, and development projects including both acquisition and disposal of sites and advice throughout. In addition Vanessa offers research and consultancy and has built up an expertise in the science park sector acting for LaSalle investment Management who asset manage the largest fund investing in UK science parks. 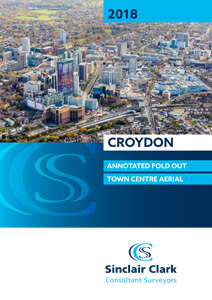 The area of focus is primarily on the south east and Greater London, with specialist knowledge of the London boroughs particularly south/south west London and Croydon in particular where Sinclair Clark have amassed a significant base of clients and instructions. Vanessa has 30 years of experience in the commercial property market spanning a broad geography and has extensive experience of marketing both large scale and small scale projects, together with development from conception to delivery. Current development projects span not only offices but food stores, hotels and mixed use. The company aims to provide detailed local knowledge and sound professionalism together with an extensive network of contacts to add value and meet client's expectations. The provision of a high quality of personal service is guaranteed. Sinclair Clark Allegra, formerly a sister company to Sinclair Clark handling management and asset management, has now been taken over by Matthews and Goodman. Sinclair Clark continues to work alongside Nigel Watson and Lindon Brander.